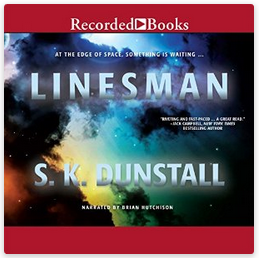 Do you want to win a copy of the Linesman audio book? Home > Do you want to win a copy of the Linesman audio book? More book news, and timely, too, for last week I wrote about our involvement in creation of the audio book. Head over to GoodReads and put your name down. There are three copies to give away. Not to whine but any chance of seeing a book being offered as a giveaway or an ebook? I’m really surprised there’s no release party notices or anything to promote the book. Timely comment, because guess what’s coming in a few more days. Keep an eye on this site, on Goodreads, and on AceRoc books twitter feed and/or Facebook. Lots of books to give away. The publisher giveaway for Alliance is up now on Goodreads. Click here http://bit.ly/1oklwzO for your chance to enter.